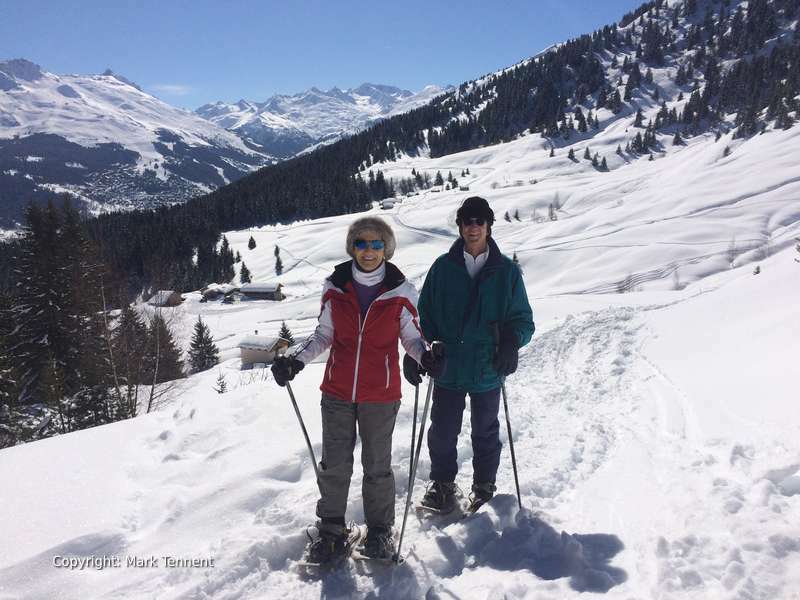 Snowshoe walking – the great non-skiing activity for non-skiers or skiers and snowboarders wanting a break from the pistes of Courchevel. Snowshoeing allows you to discover quiet places away from the resort and marked trails not far from the resort of Courchevel. Morning, afternoon or full day guided snowshoe walks available. Individuals, couples, families, groups of friends – no previous snowshoe experience needed. I will meet you at your chalet or hotel. From there I will take you to the start of your guided snowshoe walk in Courchevel, usually only a short drive away. I will then help to adjust your snowshoes and fit them to your footwear. You will also be given ski sticks or walking poles and some initial tips on walking with snowshoes. Don’t worry the “learning curve” is a very short and shallow one and you will soon feel comfortable and at ease with your snowshoes. We will then head off and we will soon be getting away from the sounds of Courchevel’s ski slopes and into the “real” mountains. Our snowshoes will allow us to get off-the-beaten-track exploring places that most skiers never get to see. Morning and afternoon outings explore areas closer to Courchevel but areas away from the hustle and bustle of the ski slopes where peace and solitude can still be found. Far from the madding crowd! There is the opportunity to see some of the wildlife or at least the tracks that they have left behind. 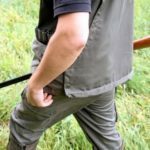 The tracks of foxes, mountain hares, wild boar (sanglier) and other wildlife are frequently seen. 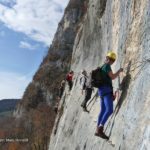 A chance to learn about the wild mountain environment. Full day trips offer the opportunity for lunch at authentic mountain restaurants or rustic refuges. There is frequently the possibility of seeing the ibex (bouquetin) and the more elusive chamois in the nearby Vanoise National Park. Snowshoes and ski poles / trekking poles are provided. All you need to provide is a pair of walking shoes or snow-resistant boots and ski type clothing. Below is a sample of the guided snowshoe walks I offer but all the itineraries are personalised. I will meet you at your hotel, chalet, apartment or other agreed meeting point. Les Cotilles (nr Meribel Village & La Tania). Cret du Praslin (Courchevel 1650) – Level: Moderate. This walk crosses the snow covered meadows before ascending gently through the pine woods to a stunning viewpoint overlooking the Valley des Avals. We follow the crest before a descent in the powder brings us back to the resort. Pramurel – Plan du Vah (Courchevel 1850 / 1650). Starting from close to the Altiport of Courchevel 1850 the route rises very gently before a descent brings us to the valley and a path that winds its way amongst trees and close to the snow covered stream. Champagny-le-Haut – day walk with lunch. Level: Gentle. The valley is a hidden gem where there is often the opportunity to see the Ibex (Bouquetin). A chance too to taste and buy some of the famous Beaufort cheese directly from a farmer. Vallon du Fruit – Refuge du Saut – day walk with typical Savoyard picnic lunch. Departing from Meribel-Mottaret we pass Lac Tueda before a gentle climb leads to the Vallon du Fruit. 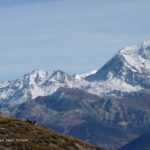 Col de la Lune and the Refuge de la Traye – day walk with lunch at a mountain refuge. A steady climb through snowcovered meadows leads to a broad tree covered ridge that brings us to the Col de la Lune. A gentle descent leads to the rustic refuge . Enjoy a typical Savoyard lunch with a stunning panorama. A descent after lunch through clearings and amongst the forest leads down to Les Allues. 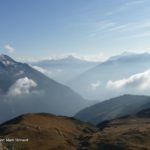 Pralognan la Vanoise – gateway to the Vanoise National Park, France’s first national park and a haven for wild fauna: chamois, and bouquetin/ibex. Morning Snowshoe Walks – typically I will meet you between 08h30 and 09h00. I will usually say goodbye to between 12h00 and 12h30. Afternoon Snowshoe Walks – typically I will meet you between 13h30 and 14h00 and then take you back to chalet of hotel between 16h30 and 17h00. 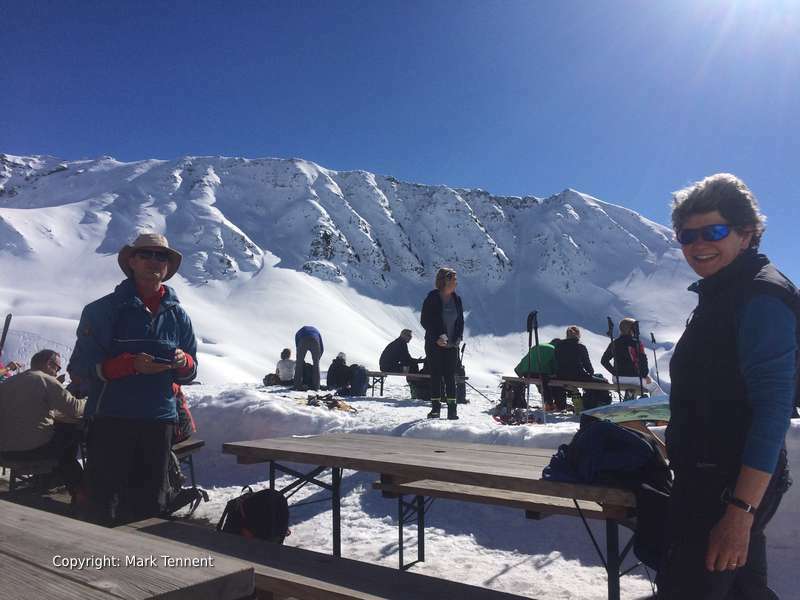 Fully Day Snowshoe Trips – typically I will meet you between 08h30 and 09h00 and then drop you off at your hotel or chalet between 16h30 and 17h00. 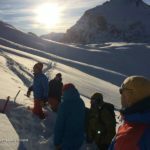 Guiding by Mark, a fully qualified accompagnateur / international mountain leader with over 30 years of experience in the mountains; British by birth but a fluent French speaker. You can find out more about my experience here.